Reserve Bank of India (RBI) has been in the forefront of adopting technology for making the payment systems in the country efficient, modern and robust. Cheques continue to play a dominant role in our payment system landscape, more so in terms of volumes handled. Three G Fluoropolymers Pvt. Ltd.
Concentric / Eccentric Reducer that we offer are designed to fulfill the requirement of several small and large scale industries. These Concentric / Eccentric Reducers are manufactured by supreme quality of raw material. We offer Concentric / Eccentric Reducers suitable for those applications that involve elevated pressure, temperature, impulse and vibration. These fittings have accurate tolerances and precise configurations. These fittings can meet the requirement of the industries like petrochemicals, nuclear, power and even electronics. Size: 1/2 inch,3/4 inch,1 inch,2 inch,3 inch,>3 inch,up to 48"
We are engaged in offering high quality Reducer to the clients. Providing accurate reduction in pipes. we offer Reducers in various dimensions and sizes. Our Reducer finds application in a wide range of industries and therefore high on demand. 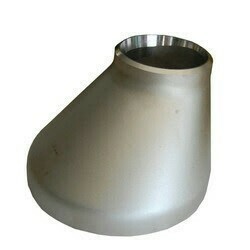 We are a major Steel Reducer Manufacturer. Supplier and Exporter from India. 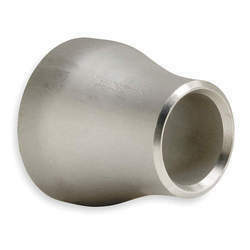 providing high grade Steel Reducer in a wide variety. These steel reducers are of two types: centric and eccentric. They are accessible in various sizes, configuration, schedules and flanges. They are highly acclaimed for performance, strength, dimensional accuracy and durability. This steel reducer finds their application in sugar mills, steel plants and construction industries.